Rick A. McPheeters, DO Vice Chair at UCLA Emergency Medicine and Chief at Kern Medical Center, has been recognized as a “Leader in Medicine” among “America’s Best Doctors” for 2017. He will be sharing his knowledge and expertise in Healthcare Education, Workforce Development, and Journal Management. Board certified in Emergency Medicine, Dr. McPheeters has been active in the healthcare industry for over two decades. He obtained his DO from Western University of Health Sciences in 1996.Subsequently, he completed his internship and residency at Kern Medical Center. His desire to pursue a career in Emergency Medicine developed as he enjoyed the ability to handle a variety of care and the varying patient acuity in the emergency department. As the Vice Chair at UCLA Emergency Medicine and Chief at Kern Medical Center for eight years, Dr. McPheeters’ day-to-day responsibilities include patient care, residency training, and academic training in the emergency department, in addition to duties as the medical director of Bakersfield College Paramedic Program.He serves as the Editor-in-Chief of Clinical Practice and Cases in Emergency Medicine, Associate Editor of the Western Journal of Emergency Medicine, author of several journal articles, and a public speaker regionally on procedural sedation and surgical airways. Due to his unwavering dedication to the field of Emergency Medicine, Dr. McPheeters has been recognized as the Teacher of the Year Award at Kern Medical Center (2003-2009), the Kern County Employee Recognition Award for Teamwork, Real Heroes of 2012 Award by the American Red Cross – Kern Chapter and the Faculty Member of the Year – EM, Resident Advisory Council (2013). He maintains affiliations with the American Osteopathic Association, American Academy of Emergency Medicine, Society of Academic Emergency Medicine, and Council of Emergency Medicine Residency Directors. Among his many professional achievements, Dr. McPheeters is most proud of the many graduates he has trained in the specialty of Emergency Medicine. He attributes his success to working hard, having a burning passion for the field, and, most of all, being a team player. In his free time, Dr. McPheeters enjoys outdoor activities. 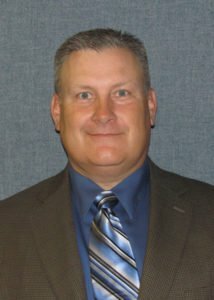 He volunteers with the Bakersfield Police Activities League Board of Directors and the Tulare Basin Wetlands Association Board of Directors (as VP). Considering the future, Dr. McPheeters hopes to expand his residency program and enhancing the affiliation with UCLA. In 1974, Dean Sherman Mellinkoff appointed a committee, chaired by Dr. William Longmire, which created the UCLA Emergency Medicine Center (EMC) in 1975. 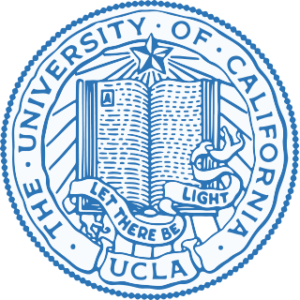 The UCLA Emergency Medicine Residency accepted it first two classes in 1978, in a PGY2-3 format. The residency program transitioned to a PGY2-4 program in 1989, and PGY1-4 in 2008. Over a nearly 40-year program history, our EM Residency Directors include: Harvey Meislin , David Orban , Jerome Hoffman , Sidney Starkman , Robert Galli , Pamela Dyne , Scott Votey, and as of October 2016, Rebecca Bavolek. The UCLA Department of Emergency Medicine now has three ACGME-approved emergency medicine residency training programs: UCLA Westwood/Olive View, Harbor-UCLA, and Kern Medical Center. All are PGY 1-4 programs with a total 136 emergency medicine residents. The three programs have trained almost 1,000 emergency physicians. A large number of graduates of have chosen careers in academic medicine at the country’s most prestigious medical schools. Kern Medical has been a community cornerstone since its founding in 1867. Today, we are an acute care teaching center with 222 beds, offering the only advanced trauma care between Fresno and Los Angeles. Each year, more than 200 residents, fellows and medical students enroll in our UCLA-affiliated training programs, with residencies in internal medicine, surgery, family practice, emergency medicine, obstetrics and gynecology, and psychiatry. Many of the physicians trained at Kern Medical remain to practice in the community. We also promote the education of clinical pharmacists, nursing students, respiratory therapists, lab techs and allied health professionals.